Unless you have a broody hen or a capon* to tuck your knew little chicks under, you will need a brooder box to get them started. The new chicks will need to be at 95º which is hard to do unless they are confined to space with a heat lamp. 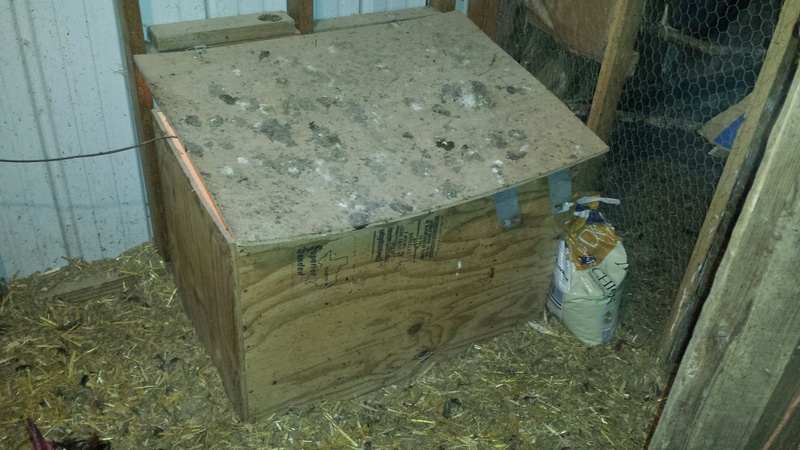 My Brooder box is just a wooden box that I rigged a lid over. The lid is attached with hinges to the wall and rests on the box when closed. 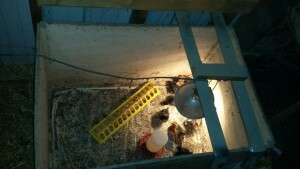 I placed a latch and loop to it, to be able to hold the lid up to the wall when tending the baby chicks. 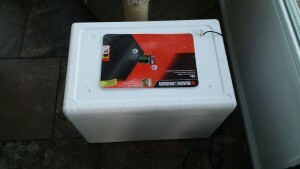 The box is placed in free standing and can be removed for cleaning or if it is not going to be in use. I made a rail in which to attach the heat lamp, it is also removable. Notice I have a clear heat lamp, they work just as good as the red style. The red style is used to prevent chicks from pecking at another if it gets a wound. The red colored light masks the wound, and makes it less visible. It is important to keep the chicks supplied with fresh drinking water, and food at all times. Their small bodies need consistency at this young age. Paper or wood chips are the best substrates to use in your brooder box. I start out with paper and when they start to eat well out of the feeder, I switch to more wood chips. *Capon– When chickens were kept on almost every farm for food and eggs, capons were an important component. Capons are surgically castrated roosters. A flock with too many roosters is not a healthy flock. Too many roosters over stress the hens, They can become mean and aggressive, and their meat grows tough and stringy with age. Surgically castrating the roosters made them docile and more hen-like. Plus the added bonus was in the meat quality, the reduction of hormones allowed the capon to continue to grow to a bigger size and retain a great quality of meat. Before the popularity of the genetically engineered Cornish crosses, the capon was the sought after bird for the table. Capons were once shipped all over the country and sold at a premium. If you would like to read more about capons, let me know in the comment section. 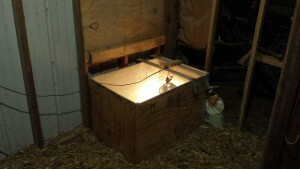 I knew as soon as we got our first baby chicks from the hatchery that we were going to need an incubator. I do not do anything without research and a lot of thought. 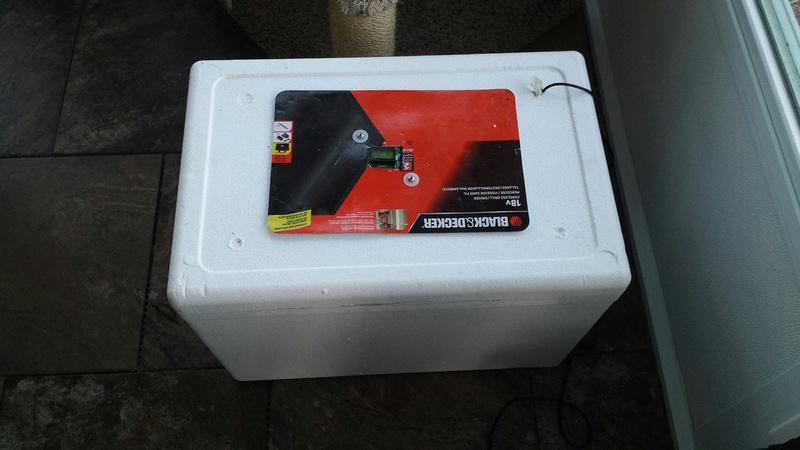 My verdict on an incubator was to build my own, and then expand if necessary. I chose a thick walled cooler from walmart as our cabinet. 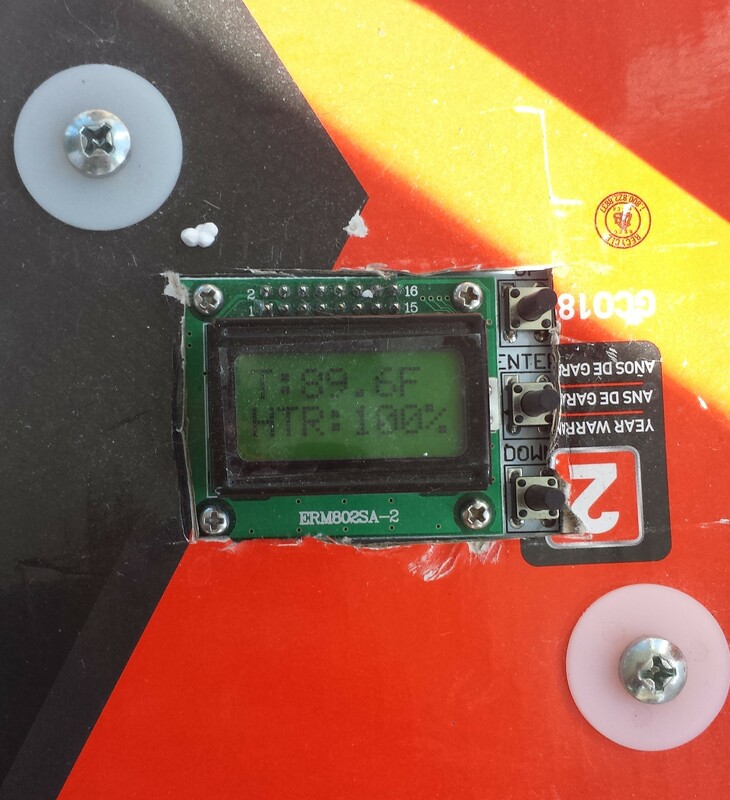 I had to modify the lid to accept the Incukit, but it was under $10 and a great size to get started. The layout of the inside of our incubator is just big enough to hold a tray for water to add humidity, and an egg tray that will hold 30 eggs. 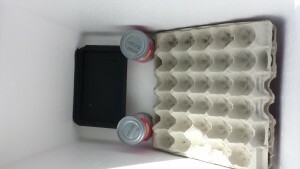 I use 4 tin cans (empty) to rest the egg tray on to set it at a 45 degree angle. 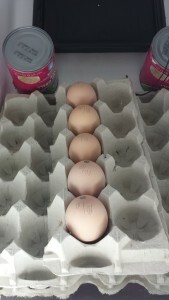 to turn the eggs you just have to alternate sides resting in the up position on the cans. This allows for you to turn the 30 eggs at one time. I label my eggs with the date and put a mark to give the egg an identifiable position. 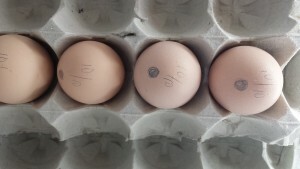 If you have eggs put in at different times, you can leave the egg tray in one spot and rotate each egg. This will allow you to stop turning some of the eggs , but not the entire tray. Here I have a partial tray with 2 rows nestled onto the large tray , this will allow me to just turn the 2 rows independently if needed. I will be collecting eggs over several days t o fill the incubator. I have 3 hens laying, so it will take a few days. Now we just play Mother Hen for 21 days and wait for them to start hatching.